It's a curiosity that Tchaikovsky is so popular – his 1812 Overture is No 1 in the Classic FM Hall of Fame – and yet much of his music is virtually unknown over here. 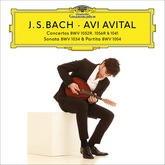 That includes most of his operas, most of his chamber music, and almost all of his solo piano music, the totality of which is featured in Valentina Lisitsa's fine new box. Tchaikovsky wrote solo piano music for more than 30 years. 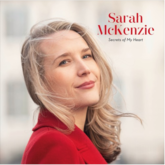 It was a nice little earner for him, because in those times, composers made nothing out of grand symphonies but could make a lot out of sales of sheet music for home performances of piano trifles. 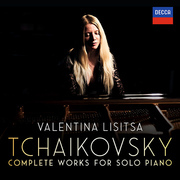 Lisitsa's is the most comprehensive survey of Tchaikovsky's piano music ever issued, because it not only includes the stuff written for the piano but also the transcriptions the composer himself made of some of his most celebrated orchestral pieces, such as The Nutcracker and the aforementioned 1812 Overture. 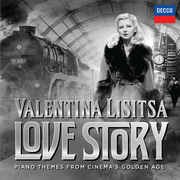 Pianist Valentina Lisitsa, one of the most watched classical musicians on the internet with 118 million views and more than 260,000 subscribers on YouTube, returns with a lush program of cinematic music originally scored for piano and orchestra. 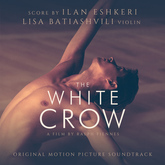 Drawing on film scores from the 1940s and on, Lisitsa has selected a program showcasing the full range of on screen emotions. 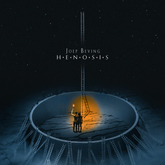 The solo piano was often the only accompaniment to film in the cinema's infancy and "silent" days, but with the advent of sound it was not long before the instrument found a more concertante role in soundtrack music. 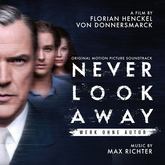 John Huntley, in his book British Film Music, cites the use of the piano in a minor melodrama, The Case of the Frightened Lady (1940), as a milestone in this field. 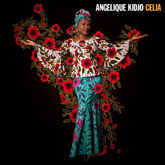 It never really has a concerto role but it started something that has continued through changes in style and fashion right up to modern times. 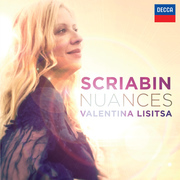 Valentina Lisitsa, who has a formidable track record when it comes to mining the works of left-field composers, turns her attention to Alexander Scriabin with her new release, Nuances. 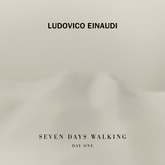 While Scriabin was dramatically pushing at musical boundaries by the end of his short life, his early works are suffused with a fresh innocence – this selection from his lesser-known piano repertoire reflects the striking stylistic differences that characterised his all too brief career. 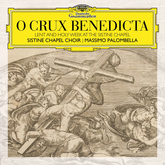 Marking the 100th anniversary of the composer's death in 1915 at the age of 43, Nuances will be released in October. Cutting-edge pianist meets trendsetting composer: Valentina Lisitsa, whose artistry has bewitched audiences around the world, is releasing a double album selection of works for solo piano by Philip Glass, whose brand of minimalism has made him one of the most influential composers of our time. 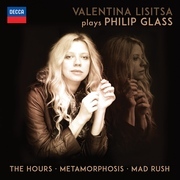 Valentina Lisitsa plays Philip Glass (Decca) is a stunning collection of Glass's piano works, performed by Lisitsa with the grace and understanding of a true minimalist interpreter. 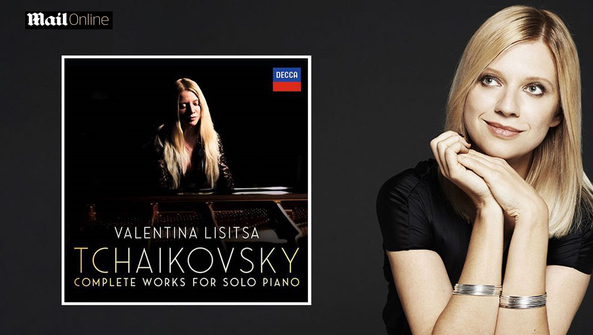 Following her recent well-received Michael Nyman recording Chasing Pianos, internationally acclaimed pianist Valentina Lisitsa releases Études, now available on Decca/Universal Music Classics. 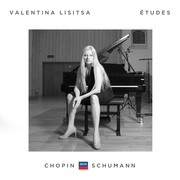 Demonstrating her ability to play virtuosic, technically challenging and innovative pieces, Lisitsa takes on the memorable music of Chopin and Schumann with this new album. 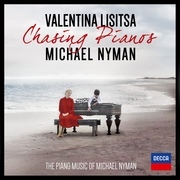 Ukrainian pianist Valentina Lisitsa celebrates one of Britain's most innovative and popular composers, Michael Nyman, on her latest Decca/Universal Music Classics album, Chasing Pianos. 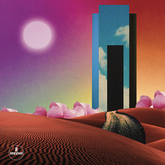 The release coincides with Mr. Nyman's 70th birthday featuring music from his soundtracks to well-loved films such as Wonderland and The Piano. Praised for his music's originality, punchy simplicity and universal appeal, Nyman, during his career as a music critic, coined the term ‘minimalism' for an emergent musical genre – one for which he would make extensive contributions in many of his early scores and inspire a vast global audience.